On April 20, 2005, President George W. Bush signed the Bankruptcy Abuse Prevention and Consumer Protection Act of 2005. This law changed the 25-year-old bankruptcy laws that were previously in place, and the changes were substantial. It has always been in your best interest to retain an attorney when you chose to file for bankruptcy, but with the new laws in place, it is now virtually imperative to have an attorney’s help. If you’re considering bankruptcy in the Dallas-Fort Worth region, speak first and at once with experienced Dallas bankruptcy attorney Richard Weaver. Some think that you can file for bankruptcy as many times as you like. That is simply not true. In fact, the limitations are now quite strict. You cannot file a second Chapter 7 bankruptcy for eight years, and if you wish to file a Chapter 13 bankruptcy, you will not receive a discharge within two years of a previous Chapter 13 discharge or within four years if your debts were discharged in any other type of bankruptcy. It is a very common misconception that after filing for bankruptcy, you can still keep your house and your car. You can, but only if you pay the loans. The myth that bankruptcy sets you free from any financial responsibilities is just that – a myth. In fact, bankruptcy forces you to confront and deal with financial obligations. Bankruptcy will give you a fresh financial beginning, but only in part. It will help you deal with old debts and keep creditors from harassing you, but bankruptcy also has a severely negative impact on your credit score. Filing for bankruptcy means you’ll face higher interest rates, and you may even have difficulty finding a job or renting an apartment. Yes, bankruptcy eventually provides a fresh start – of sorts – but only if you approach it wisely. Bankruptcy is a last-resort option when there is genuinely no way your debts can be paid. Not all debts can be discharged in a bankruptcy filing, contrary to what some people may tell you. Child support, civil and criminal fines, student loans, and most taxes cannot be discharged through bankruptcy. If you’re married, in some cases bankruptcy may also have a negative effect on your spouse’s credit score. Don’t make assumptions about the law based on what you’ve heard or been told. Instead, talk with a bankruptcy attorney who is trained and experienced, someone who routinely handles bankruptcies for a variety of clients. 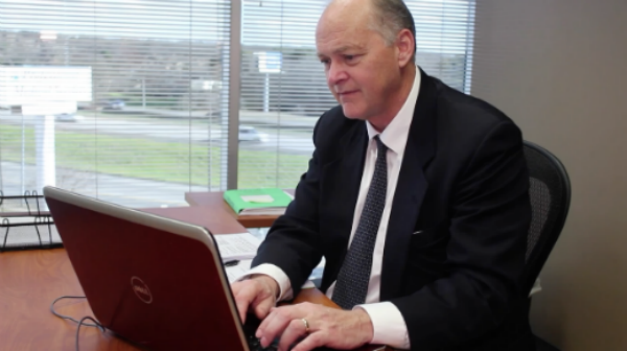 In the Dallas-Fort Worth area speak with experienced bankruptcy attorney Richard Weaver. Call (817) 422-5929 or (214) 960-4125 promptly to learn more about bankruptcy and its implications for you.